The people left over from the Obama DOJ may appear out of control more than 200 days into the new presidency, but at least now they seem aware of the shaky footing beneath them. I think that's why swamp creature Adam J. Bookbinder threatened my wife recently for exposing their corruption on YouTube for all to see. 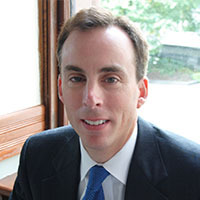 After attending Harvard Law, Adam Bookbinder rose to be chief of the Cybercrime division of the Boston U.S. Attorney's Office during the Obama administration, but he did so under dubious and tragic circumstances. For nearly everybody, having anyone make a threat against their family is a horrifying prospect, especially if they aren't around to protect them. The feeling of powerlessness isn't hard to imagine nor empathize with. However, for me, this threat was different. It reeked of desperation and left me unconvinced, like the growl from a wounded animal that knows it’s been cornered. It also left me indignant. After all that's happened, from my hunger strike to the death of my father, the uncovering of the biased judge who wouldn't let me go to his funeral, the abrupt departure of Obama's infamous Boston U.S. Attorney Carmen Ortiz after the federal appeals court slammed her for interfering with local politics, the firings of former Acting Attorney General Sally Yates as well as the FBI Director Comey, the articles published on either side of the political aisle by Michelle Malkin and Rolling Stone on back-to-back days in late June, I feel it's safe to say the jig is up for these corrupt amphibians and they know (or at least should know) as much. Your recent threat against my wife raises important questions and since you and your cronies will see to it that I don't get to ask these at my trial in January, I figured I'd pose them to you here and now. First, what's it like to try desperately to intimidate a lady, but fail because she has more courage and integrity in the pinky finger she used to type a YouTube description than you and your entire crooked, god forsaken office can muster to protect and seek justice for a tortured child? Second, when you see the attached pictures of Justina before and during the awful things your alma mater's teaching hospital did to her, does any sense of conscience bother you at all or is your sole concern protecting your allies who tortured her? Do you feel any instinctual drive to use your position of authority to seek justice for her or are you irredeemably without conscience? Do you and your associates think that going to Harvard means never having to admit your wrong and never having to apologize? Do you think you're totally unaccountable? If so, how would your office explain its failure to apply the law to protect Justina and her family? What would you tell President Trump or Attorney General Sessions if they were to ask you why a private citizen ever had to take such extraordinary action to protect an American child on your watch? If you have the decency to answer these questions, you know how to reach me.